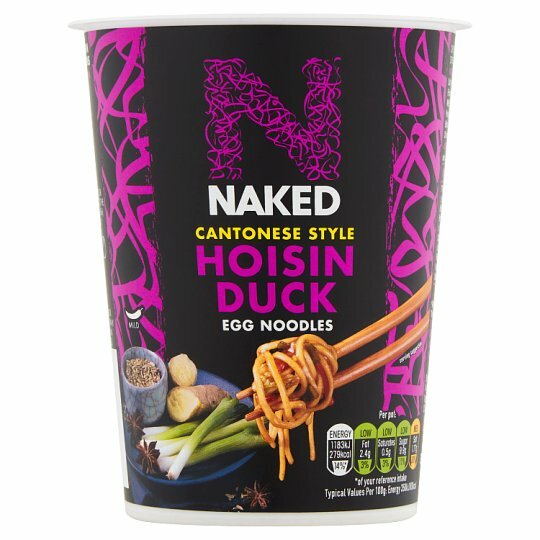 Dried Egg Noodles in a Hoisin Duck Flavour Sauce with Dried Carrot and Spring Onion. Our take on a Chinese classic! Leave to stand for 4 minutes, stir halfway through & again before serving. WARNING: When prepared as per instructions the pot and contents will be hot.